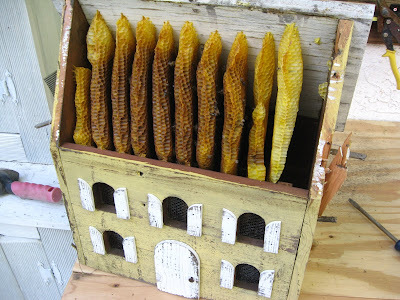 After the November feeding--- where I put roughly 4 gallons of sugar/water syrup onto each of my hives--- we had a number of cold, blustery days where the bees weren't foraging much, plus I've been seeing an unusual number of dead bees outside one of my stronger hives. So, I figured it couldn't hurt to throw on another couple gallons per hive, which I just did this weekend. 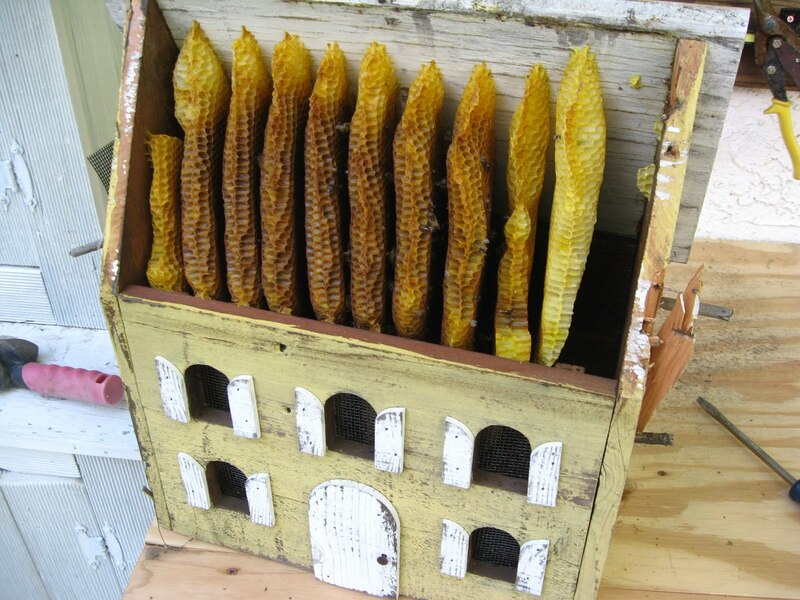 In the meantime... a few months ago I removed a hive from a friend's house. I did it the easy way--- it was in a birdhouse, and my friend let me simply take the entire birdhouse. Unfortunately, I had removed a portion of the roof and never repaired it, and when we got some unseasonable rains I think the poor hive got too cold and didn't make it. Also, per my concerns regarding foragers, it looks like those that didn't succumb to the cold just plain starved to death. And here's how I can tell some of the hive starved. If you look closely, you can see the little bee butts sticking up. That's indicative of starvation; they're literally licking the bottom of the cells as they perish. Obviously, this provided the impetus I needed to feed the other hives right away. which is intended for the Internet community in large... that is for all of us interested in bees. 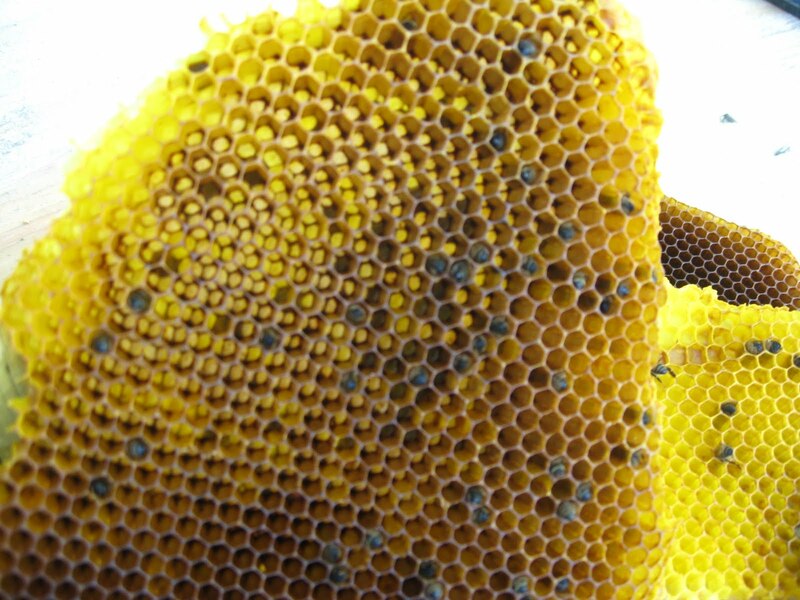 Here you will find the updated topics from bee blogs all around the globe. Needless to say that this blog is already included in our list!